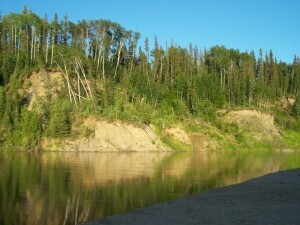 Flow North Paddling Company » Blog Archive » Why Go Paddling? Even with several inches of snow on the ground, I dream of spring and the paddling I will do! There are many reasons I like to paddle, especially on an extended trip, and I thought I’d share them with you! Get away from it all. I’d say the number one reason for going paddling is to get away from all the pressures and stresses of everyday life. On the water, and at your wilderness campsite, there are no cell phones, emails, demands or traffic! A change of scenery is often what we need to change our perspective, remember what we love about our life, and return to our youth in child-like fun! Silence. Serenity. It is so incredibly quiet… More than just getting away, you can also come to a place of deep rest. Then and only then does the built-up stress really leave! This is also a prime opportunity to evaluate where you’re going in life, and if you want to continue down that road. 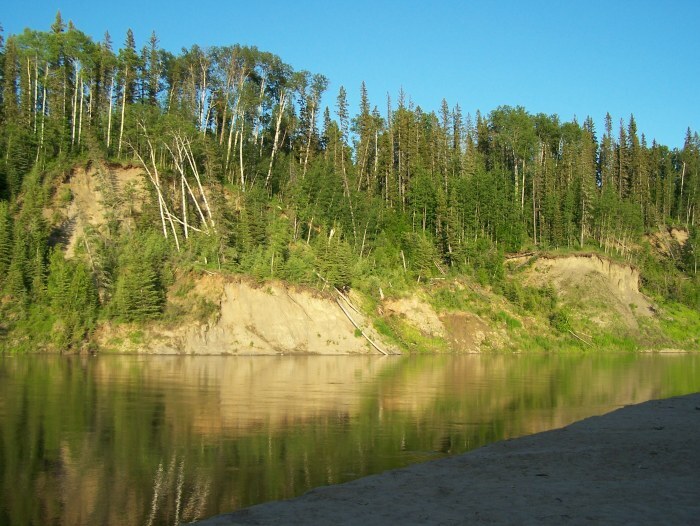 A long trip like 2 weeks on the Peace River gives you lots of time to decompress and think, which enables you to return to your life with a renewed sense of purpose and the impetus to make a change you’ve been long avoiding. Leave your job behind. Doing something outside of your normal routine gives you a chance to “cultivate the resources in yourself that bring you happiness outside of success or failure.” There’s no success or failure on the river; there’s no pressure to perform or succeed. You can practice just being happy where you are and realizing that it’s possible to be completely content, regardless of your accomplishments. Not everything in life is a competition, and if you’re in a very competitive career, why not get away from that for a while and reconnect with co-operation and a spirit of gratitude? Have an active vacation. The other great thing about paddling is the exercise you’ll get! You might even “feel the burn” a little! You decide how hard you want to work, unless your friends/family are all intent to conquer the river in a day! Then you’ll have to keep up! So choose your paddle partners wisely!